Marmota Ltd (ASX:MEU) expects to start its first reconnaissance drilling of 10 new gold targets and one polymetallic target in the Gawler Craton, South Australia within a week. This is the first substantial program of drill testing new gold targets in the north-west Gawler Craton that has been carried out by any company for at least the last ten years. 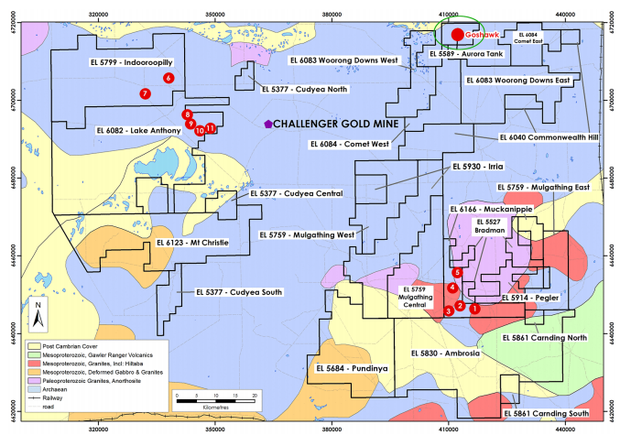 The targets which predominantly lie to the north-west and south-east of the Challenger Gold Mine can be seen below circled in red. Over the last two years, Marmota has discovered 10 new gold-in-calcrete anomalous zones on its tenements surrounding the Challenger Gold mine. Each of these zones will be refined and checked by follow-up infill sampling to define consistent anomalous zones of gold-in-calcrete. 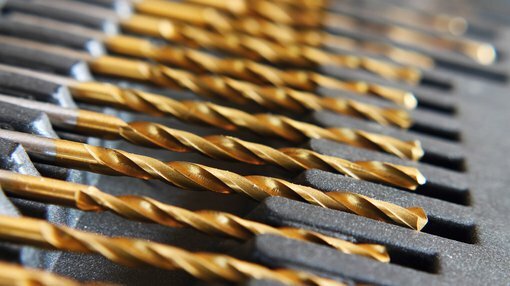 This is the same method which led to the discovery of both the Challenger Gold Mine and Aurora Tank – via drill testing gold-in-calcrete anomalous zones. Challenger has been a prolific producer, chalking up its one-millionth ounce of gold in November 2014. It should be noted here that MEU remains a speculative stock and investors should seek professional financial advice if considering this stock for their portfolio. The following indicates the high-grade mineralisation typical of the area. Ten of the new targets are gold-focused, while one will be targeting polymetallic mineralisation. In June, Marmota raised $1 million through placement of shares at 1.8 cents per share to sophisticated investors, strengthening the company’s balance sheet and providing funds for the upcoming exploration program. This will involve up to 60 aircore drill holes across a distance of about 3000 metres with an average hole depth of circa 50 metres. The drilling should be completed within three weeks.